You can find out more about the collections and the books within these from Student Research Rooms (SRR). Each of these collections have been passed down to us as a school so that the books and articles that once inspired these great academics may continue to inspire us as students and staff at the school for generations to come. However, these collections are currently under-used. As the SRR Co-ordinator this year, I have the pleasure of helping to look after the resource room and its eight fantastic collections which are available to all staff and students here at HCA. My priority as the co-ordinator this year is to look into ways to promote our collections and make them more accessible. I plan to do this by seeking a collaboration with HCA societies and academic staff to promote the collections and to submit some ‘recommended reads’ in each of the collections which we can highlight in the collections. The SRR and the Archaeology are currently collaborating by holding a mini exhibition of the undergraduate Architectural Archaeology student’s models. These models will be available to visit in the SRR until the 28th of November with the aim of showcasing students work and promoting the use of the SRR space. I hope that this exhibition will be the first of many exhibitions of students work to be displayed in the SRR. 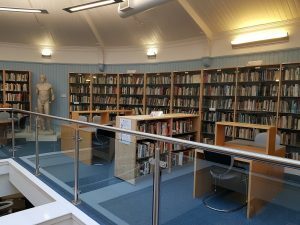 We hope that we will see more students visiting the Student Research Rooms and making use of the collections as the year progresses, and we are very open to receiving any feedback about what students and staff would like to see in this study space. If you have any suggestions, feedback or enquiries about the Student Research Rooms, please do not hesitate to email me at afletch3@ed.ac.uk and I will be happy to help in the best way I can. 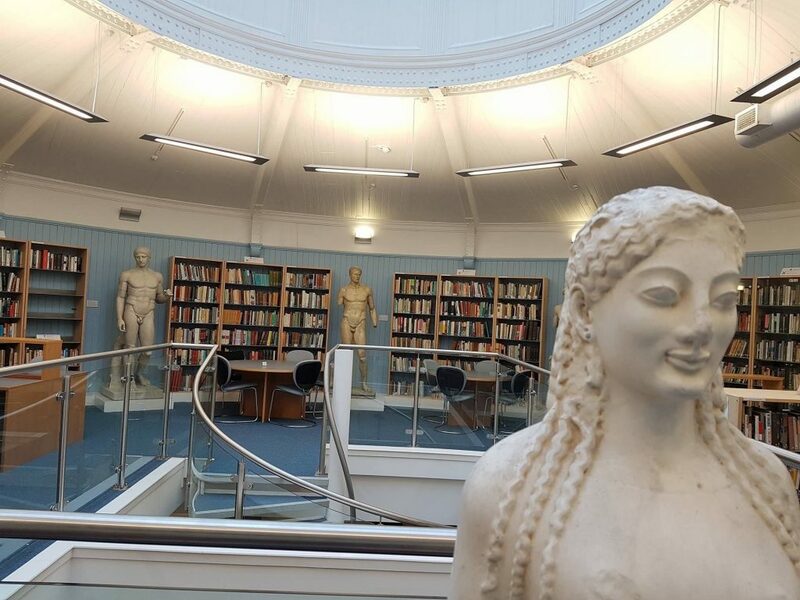 This entry was posted in Books, Student Research Rooms and tagged Ancient history, Archaeology, books, Classics, History, Old Medical School, study space, William Robertson Wing by cstirling. Bookmark the permalink.